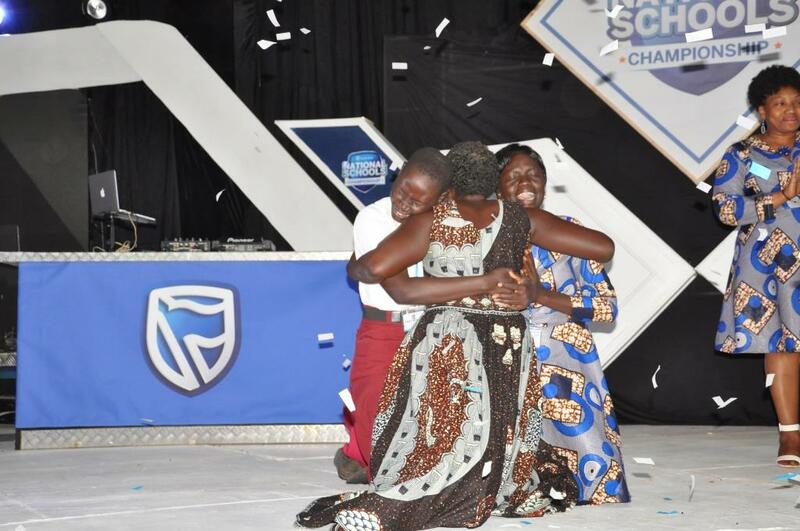 Joy, Tears, Laughs - as Muni Girls Secondary School were crowned the overall winners of the 2018 Stanbic Bank National School Championship at Hotel Africana on Thursday 05th, July 2018. 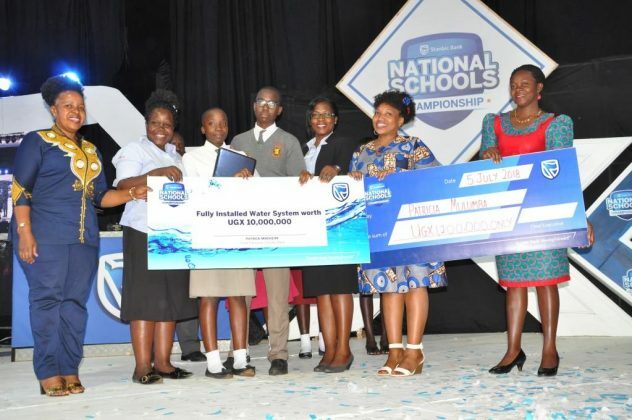 After nearly 4 months of participating in the challenge, Muni Girls Secondary School emerged victorious of the 2018 Stanbic National Schools Championship with an impressive final score of 77.6% from the judges – taking on its competitors Mengo Senior School (72% score), Bweranyangi Girls Senior Secondary School (58%), and Nakanyonyi Senior Secondary School (44.12%) who came in 2nd, 3rd, and 4th places respectively. 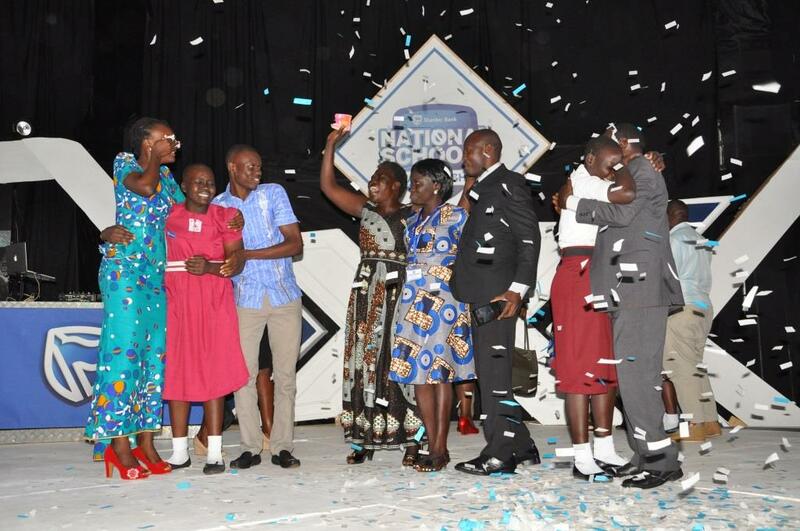 The finalists were tasked to create businesses, present their business plans and explain the sustainability of their business, after emerging as regional finalists. 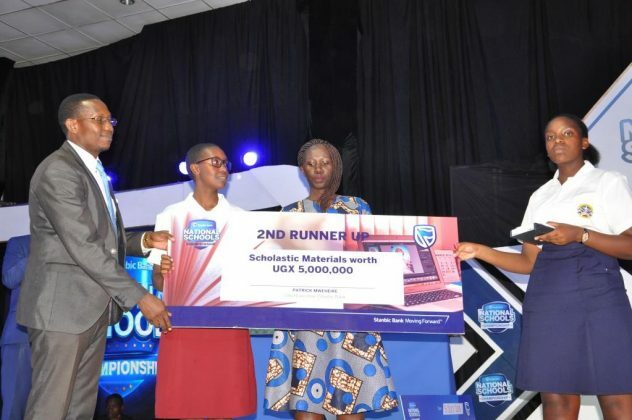 Stanbic Bank’s Chief Executive, Patrick Mweheire told the press that this year’s National Schools Championships project under the theme, “empowering the job creators of tomorrow” was meant to stretch students to think outside the box beyond just job hunting after school. 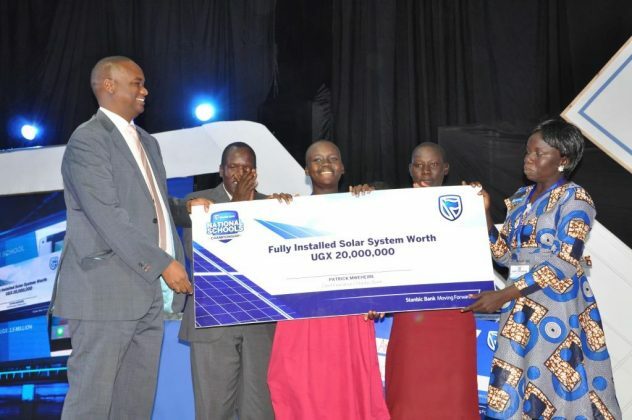 “We can confidently say that after these five months, the students understand the importance of being innovative to create jobs,” Patrick commented. Stanbic Bank Uganda CEO; Patrick Mweheire hands over a Fully installed solar system worth UGX20,000,000 to Muni Girls as the over all winners of the 2018 Stanbic National Schools Championship. 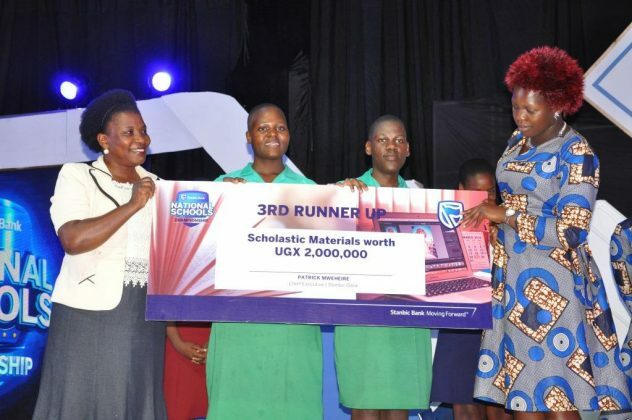 Launched in March this year at the Kampala Serena Hotel, 6,000 students from 60 schools across the country were chosen to take part in the competition challenging them from class room tests, oral quizzes, Essay competition, debate competition, and finally a presentation of their business plans all set around financial literacy, life skills, logic, business and entrepreneurship. 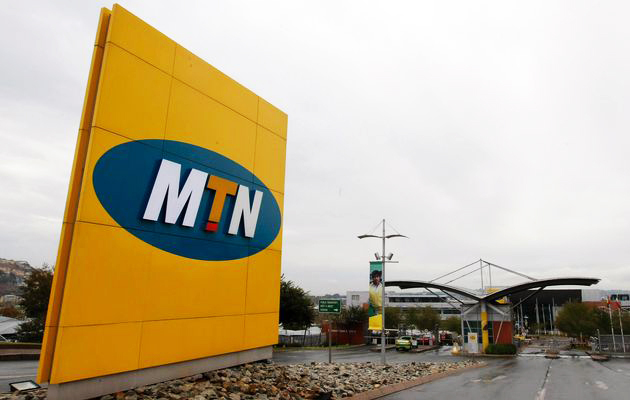 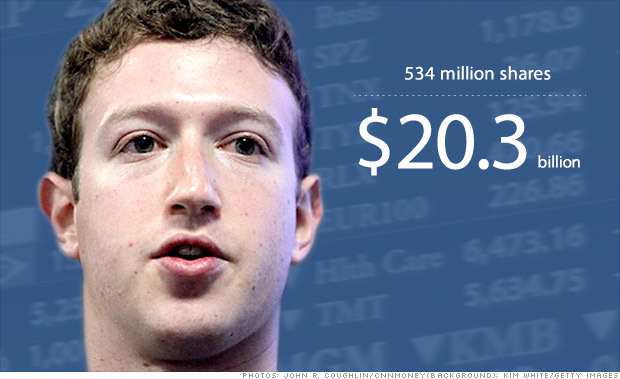 Next articleOpinion: Will Taxing Social Media Reduce On Gossip?